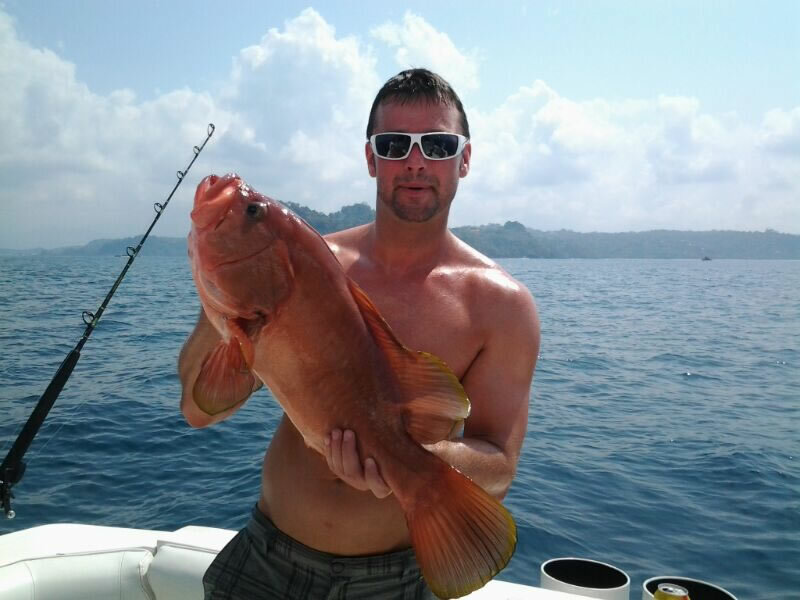 Looking to book an Inshore Fishing Charter in Quepos, Costa Rica? 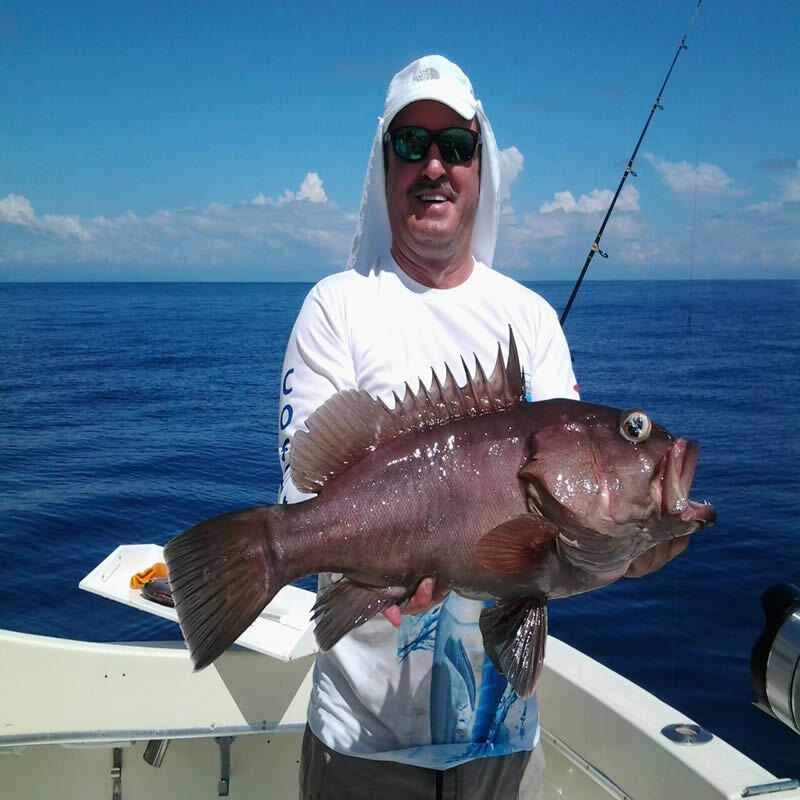 Our fully equipped inshore fishing boats and knowledgable inshore fishing captains will work hard to get you on the most inshore fishing action. You have the option of booking a half day inshore trip, 3/4 inshore tour or a full day inshore fishing adventure, all of which are done near the fishing grounds of Quepos, Costa Rica. If you are staying in Manuel Antonio and want to book an inshore fishing guided tour, it is a short 6 minute drive to the Quepos Marina Pez Vela where are boats are located. While inshore fishing in Quepos, Costa Rica you can expect to target Roosterfish, Snook, Red Snapper, Spanish Mackerel, Grouper, and Jack Crevalle aboard the best inshore fishing boats & a crew that will put in the maximum effort to ensure you have a productive day of inshore fishing. The Reel In Captains are Inshore Fishing Pros. They will take you to Best Place to Catch Rooster Fish in Quepos, as well as other inshore species. The Reel In boats are 100% Equipped and ready to be chartered for an inshore fishing tour. Best chance of fighting the wild and famous rooster fish, or perhaps the delicious eating Snook as well as a Big Red Snapper. Here is a list what you can target while inshore fishing in Quepos, Costa Rica? Full day inshore fishing is an 8 hour charter providing you the most time on the water and the Best Chance of a successful inshore charter. 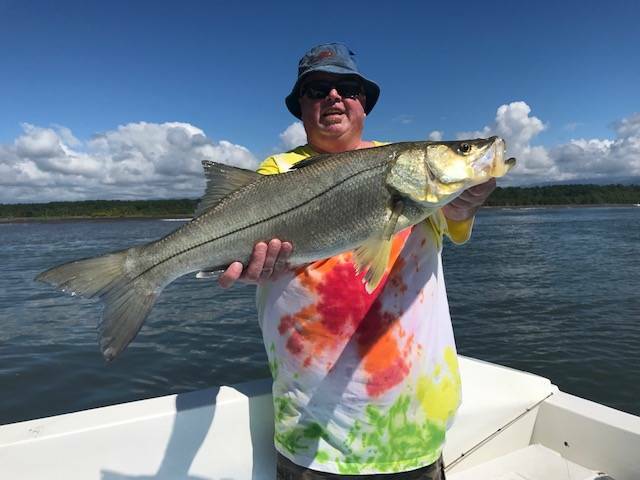 3/4 day inshore is a 6 hour charter giving you a good deal of time to target snook, rooster fish and much more. 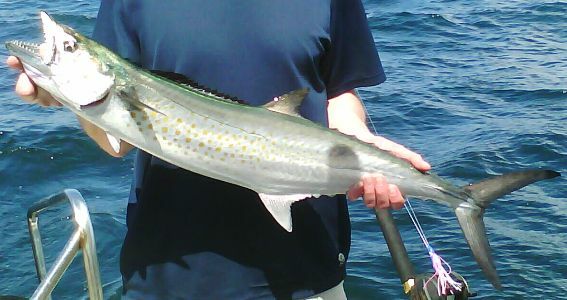 What is the most popular inshore fish? 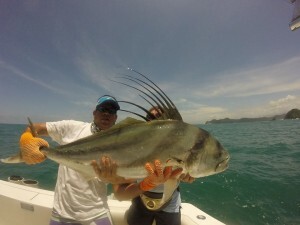 Rooster Fish is the most targeted amongst anglers visiting the area of Quepos. With good reason because Rooster Fishing in Quepos, Costa Rica is famous for its High Productivity. 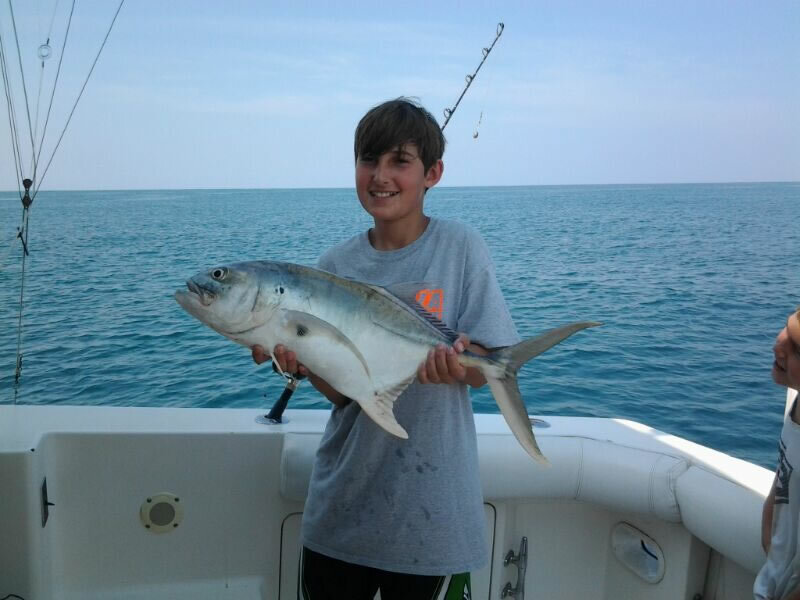 The inshore fishing charters are done using live bait called (Palometa or Lizas). You will be fishing near the shores of Manuel Antonio. Savegre, Parrita, Dominical, Naranjo, and El Cocal. Listed above are the most productive inshore fishing grounds near Quepos, Costa Rica. When you fish inshore, there is no trolling. Instead, we use the live bait to do the work of calling the attention of the inshore species. With the help of the Reel In Crew, novice and avid fishermen are able to enjoy a great day of inshore fishing in Quepos, Costa Rica. 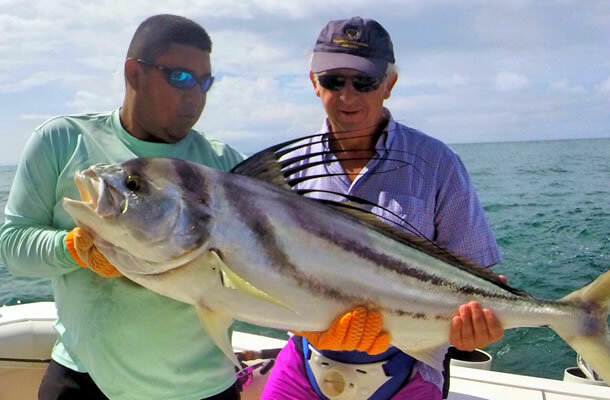 You won´t want to miss the chance of going fishing for rooster fish or snook. This is one of the most highly recommended activities of Manuel Antonio. Unlike the catch and release fishing for sailfish, and marlin, there are many species, closer inshore, which are not only fun to catch, but delicious eating. We call like to call it “fillet & release”. There are mackerel, grouper, and true red snapper. Snook is a real treat, and they put up a tremendous fight, that will challenge the best of anglers. And talk about good eating; snook is one of the tastiest fish in the world. Robalo is the Spanish name for snook, and they’re found near the river mouths. Fresh Fresh to Eat is the Best! If you’re staying in a Manuel Antonio, or Quepos condo or villa, you’ll enjoy a seafood feast, of your own catch. If not, most restaurants are happy to prepare it for you. In any case, our crew will fillet your fish, so it will be ready for the grill or the oven. There is nothing quite like really fresh fish, especially when you have caught it yourself.